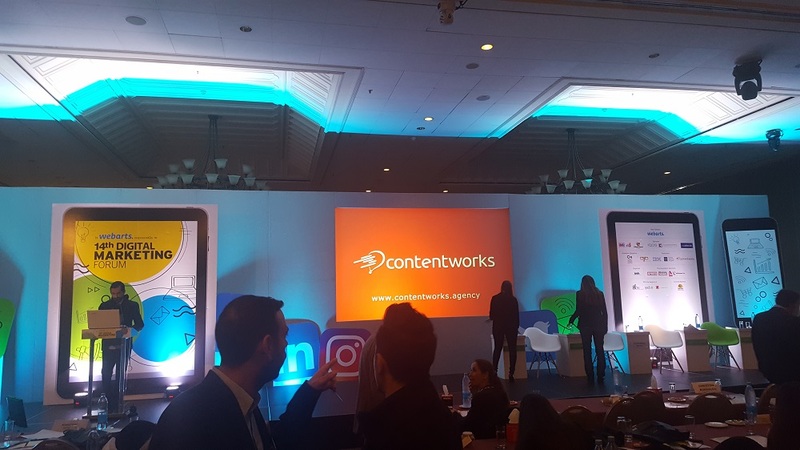 On November 30th 2017, Contentworks Agency sponsored the 14th Digital Marketing Forum in Nicosia, Cyprus. 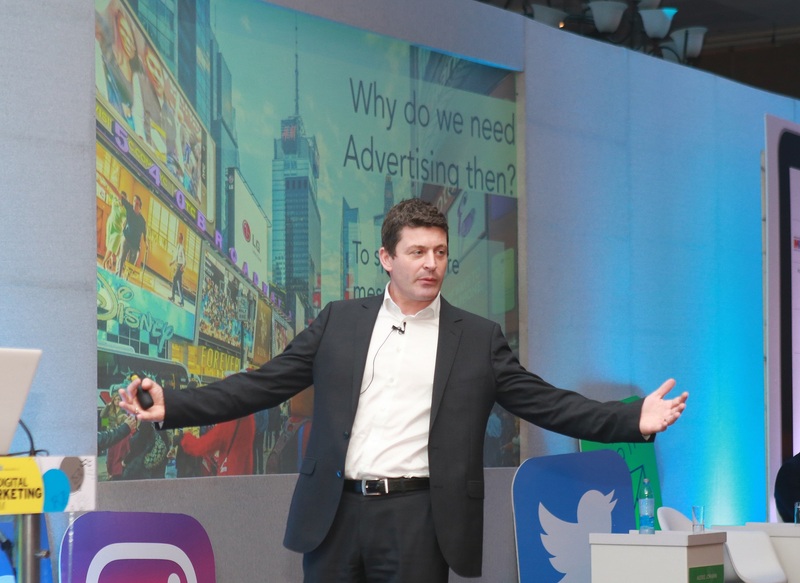 The Digital Marketing Forum which used hashtag #DMCY17, brought together leading marketers, agencies and service providers to look at some juicy topics such as Storytelling, New Technology, Old Tricks, How Data And Influencers Reshape Digital Advertising and Disruptive Innovation and the Customer Journey. The event program was impressive and boasted top speakers from within the digital marketing sector such as; Yangos Hadjiyannis, Deputy Director – General, Cyprus Institute of Marketing, Adam Jonsson, CEO and Founder, Thèque marketing, Alexandros Manos – CEO Valuecom, Marios Kapiris, Manager of IBM Cyprus, Samantha Kelly, Owner, Tweetinggoddess.com, Theo Potouroglou, Digital Marketing Manager, Papastratos – Philip Morris International and Alexis Johann, Managing Director, Styria digital one GmbH & Managing Director, Styria Content Creation GmbH & Co KG. 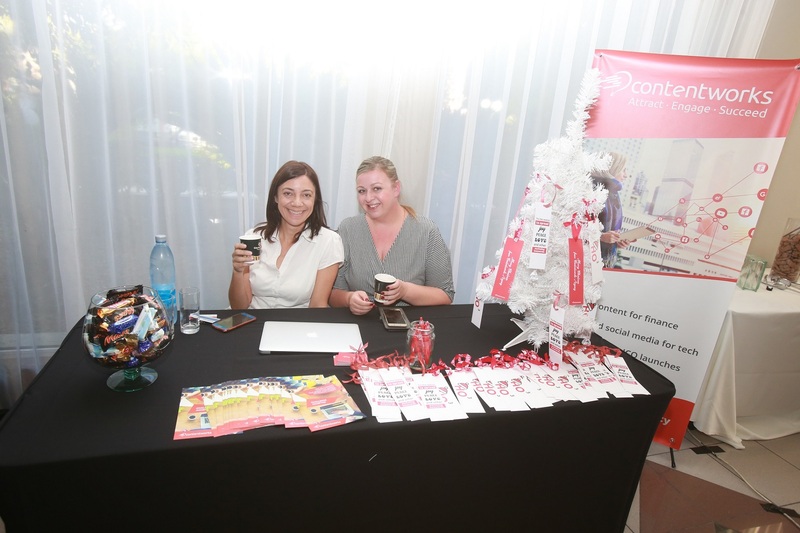 Contentworks maintained an expo stand at the digital marketing event with the theme “A Content Marketing Christmas”. The stand featured a snowy tree, Christmas bookmarks, sweet treats, plenty of information and of course our very own Contentworks elves Charlotte and Niki! 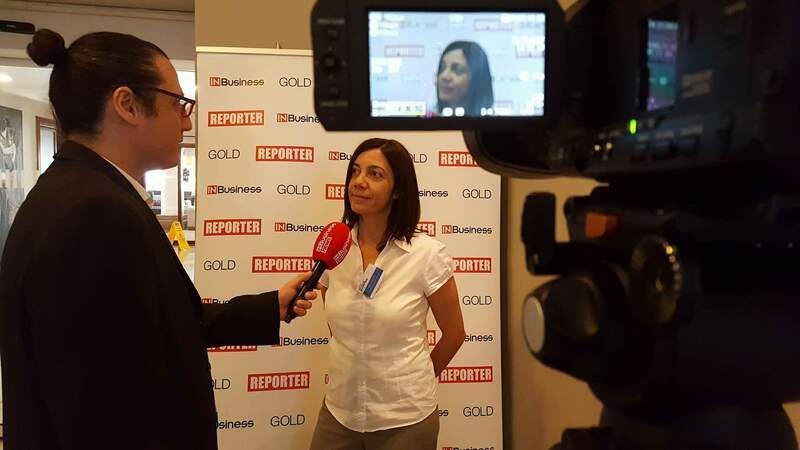 Director Niki was also interviewed on InBusinessTV to analyse the future of cryptocurrencies, a subject that the team is very comfortable discussing. The expo, which was well organised by IMH, attracted like-minded marketing individuals and provided an environment conducive to learning, networking and practical experimentation. It was also a chance for the Contentworks team to chat with existing clients and engage in discussion for future projects. We were also keen to meet attendees looking for career opportunities with a fun and forward-thinking agency. Samantha Kelly is a leading social media strategist, speaker and trainer who owns and operates Tweeting Goddess. 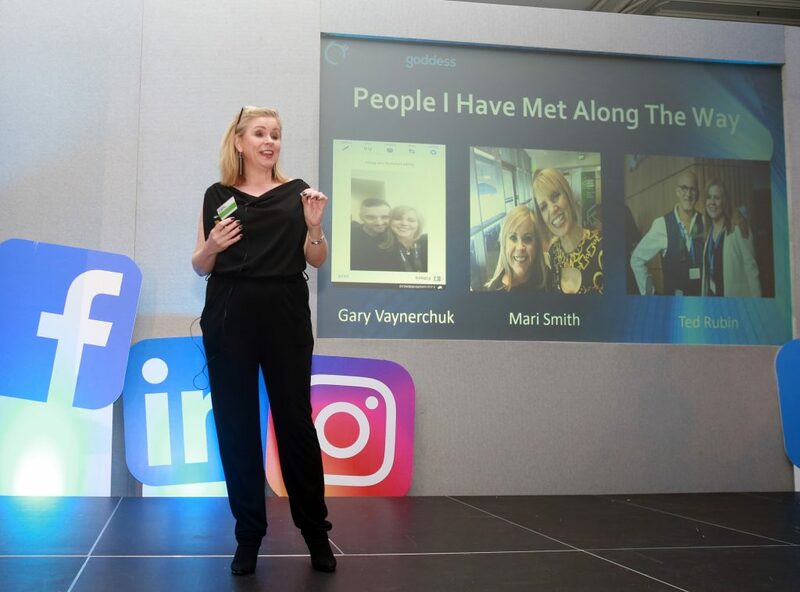 Samantha focused her presentation on building Twitter relationships, communities and how to influence and empower others. During Samantha’s presentation we even saw #DMCY17 begin to trend on Twitter. In fact, using code DMCY17, Samantha also combined an offer for 5 free images at Design Wizard which is still accessible by using the event code. Another event smash hit was Alexis Johann who joined us all the way from Vienna representing Styria Digital One. Alexis offered some really interesting insights into digital advertising in 2017 and how brands can use advances in data and user analytics to drive winning advertising campaigns. So, on behalf of Contentworks, we would like to thank everyone who attended and presented making this a story well worth telling! 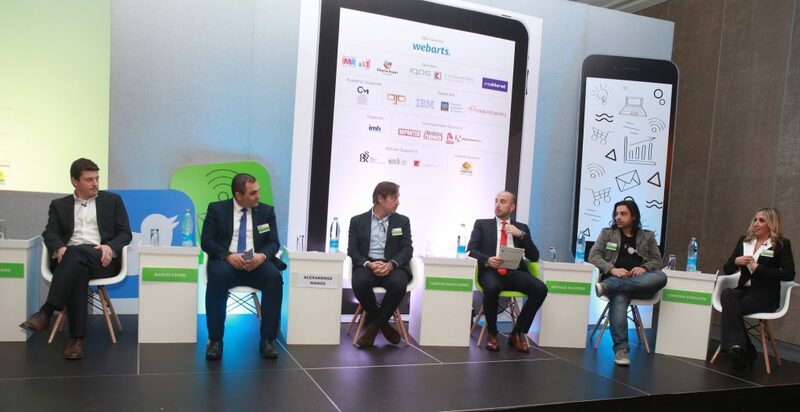 Missed us at the Digital Marketing Forum? Contact the team right here.